While Science, Technology, Engineering and Mathematics are disciplines in their own right. Their synergies are championed under the “STEM” banner are igniting a flurry of political and industry discussion, and this raises significant implications for education. The current STEM education agenda is driven by the belief that STEM skills are crucial to innovation and development in our contemporary technological, knowledge-based, competitive global economy (Office of the Chief Scientist 2014a). Because STEM is being positioned so central to a country’s competitiveness, it is influencing funding in industry, education and research internationally. To some extent a utilitarian conceptualisation of education, while not new, is promoted through this drive to prepare students for a STEM-dominated future in which three-quarters of jobs are forecast to need STEM skills and capabilities (Office of the Chief Scientist 2014a). create partnerships with tertiary providers, business and industry; and build an evidence base. These aims resonate with initiatives in other parts of the world, such as within the European Community where attempts have been made to raise student STEM awareness, establish industry and school links, and build up STEM teaching skills (Scientix 2014). The challenge for educators is to translate a STEM policy agenda into valid and coherent curriculum. In order to consolidate the objectives and activities of the SS-STEM program, we felt the need to articulate a comprehensive, multi-faceted and coherent STEM vision that addresses the subtle and complex challenge of preparing “twenty-first century” citizens within the constraints of a traditional school system and curriculum. This vision is designed to enable educators to engage with the STEM agenda through a targeted and deliberate framing of STEM, the STEM practices that can inform teaching, learning, and curriculum, and how to build teacher capacity and lead change in schools. 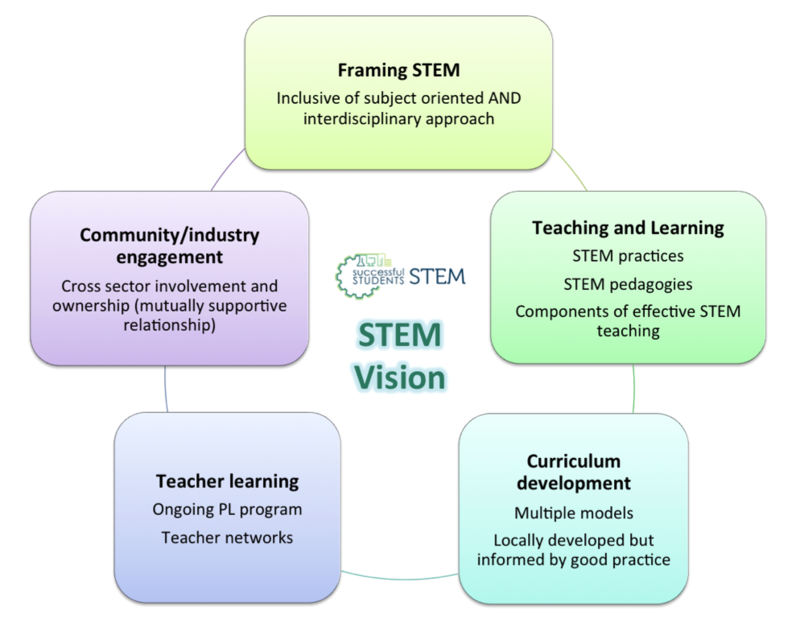 The STEM vision is summarised in Figure 1. Increasingly the STEM community is looking to integration of the STEM disciplines in real world design problems as a way of engaging students in imaginative and collaborative problem solving and reasoning. STEM practice should be seen as inclusive of the knowledge generating practices of the individual disciplines, as well as what is common across the disciplines. Vasquez (2015) describes STEM, not a curriculum, but “as an approach to learning that removes the traditional barriers separating the four disciplines and integrates them into real-world, rigorous, relevant learning experiences for students” (p.11). 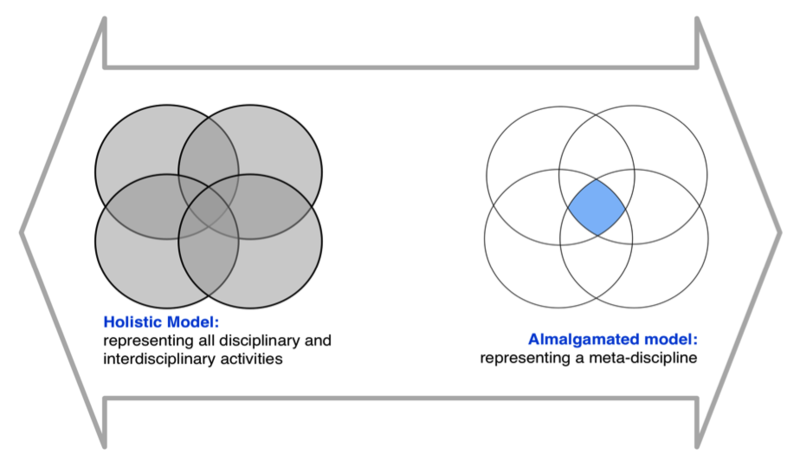 Figure 1 depicts a scale of the different models of STEM in education: In line with Vasquez’s definition, STEM can be represented as a meta-discipline that relates to only the overlaps between the disciplines (Amalgamated model), and refers to the generic or ‘soft’ skills that are common to all four disciplines. Alternatively, STEM is inclusive of the interconnections between as well as the individual practices of each discipline (Holistic model), recognising that the work or science and mathematics teachers can similarly represent the discursive practices of the STEM disciplines. Schools are structured as predominantly subject-specific, however there is a move towards some degree of inter-disciplinarily. In order to be inclusive of the current teachers in schools, STEM needs to be presented as being relevant to mathematics, science, design and technology and digital technology learning areas of the Victorian curriculum, as well as offering a means of bringing these disciplines. By presenting real-world problems that require solutions from across the four disciplines, the barriers between the disciplines can be broken down. STEM practices and pedagogies: A strong pedagogical framework of inquiry is informed by STEM practices. STEM practices relate to the disciplinary practices recognisable across the four disciplines. Table 1 summarises four interconnecting practices, and describes the related STEM teaching and learning practices that can support their development. Activities and projects can be applied within and across science and mathematics that illustrate a variety of inter-disciplinary and subject-specific models of STEM Education. It is important to articulate ways of conceptualising developmental progression in interdisciplinary STEM practices and how these practices can be applied within and across the STEM subjects. Inquiry through representations – Guided inquiry pedagogies in science and mathematics have been shown to engage low SES students in active learning and improve learning outcomes. These approaches align school STEM curricula with the knowledge building practices of science and mathematics and exemplify use of the discursive, representational tools and artefacts, such as drawing and modelling, animations and a range of digital tools and resources that now pervade STEM professional and research practice. Teachers develop curriculum with each other and other teachers in their schools in ways that reflect the priorities and cultures of their school. Based on experiences with the SS-STEM project working with 10 schools in the Geelong region, teacher collaboration strategies employed will vary across schools. In response to the needs of the partner schools, the Successful Students-STEM Program has developed critical perspectives on models of STEM education that include different teacher collaboration and curriculum models (disciplinary focus on improving mathematics or science curriculum and teaching practices; or interdisciplinary where science, mathematics and technology teachers develop integrated units or new STEM units). Figure 3 shows the range of collaboration and integration models used by teachers in the project. Teach each discipline separately: In science classes, there is a renewed focus on using representations to enhance concept development. In mathematics, teachers could use complex problem solving to challenge their students. Teach all four but more emphasis on one or two: A teacher integrates mathematics and science through a challenge based unit of work where students design a vehicle. Integrate one into the other 3 being taught separately: The engineering processes of team work, identify and investigate a problem, design a solution, and testing and evaluation is added into some science and mathematics units, but there are limited links across the science and mathematics subjects. Total integration of all by a teacher: Science teacher integrating, T, E and M into science. A school introduces a new STEM elective focusing on designing digital solutions to real world problems. Divide a STEM curriculum into the separate subjects: Technology, science and maths teachers design a combined unit and each teacher teaches different components of the unit in their separate subject, and with clear contributions from science, maths and technology subjects in solving a common problem. Teachers tend to work in a variety of ways, by working as individual teachers, or as teams of teachers, either subject-based or as interdisciplinary teams. There will be a need for the schools to develop a strategy of working that allows for specific collaboration models among teachers. transforming practice and identity – transformation can occur at multiple levels: the teachers’ practice and identity in relation to STEM; teachers’ ability to support and build capacity of other teachers in the school; and through steering STEM education within the school. What is effective STEM education? What does effective STEM teaching and learning look like? What pedagogies are needed for an innovative STEM curriculum? How can effective STEM education be implemented in year 7 and 8? What evidence can be used to evaluate STEM programs? Linking science and mathematics with industry, the community and families is an effective way to emphasise the relevance of science and mathematics in all facets of human activity, and to particularly acknowledge the social and cultural aspects of the disciplines. Community-industry engagement assists teachers and students to make connections between ideas within a discipline, with other disciplines and with the digital, analogue and real world. Programs that illustrate how such links can be made can involve one-off industry talks or through in-depth exploration of contextualised issues or problems. In addition, community-industry engagement can be through representing latest and cutting edge research occurring within the STEM community. For example, “Future and Emerging Technologies” (FET) research, which is considered to be high risk, long term, multidisciplinary and collaborative frontier research, lays the foundations for radically new, next generation technologies. According to the “Digital Agenda for Europe”. A range of science and mathematics related industries, organisations and research could be available within the local area; these possibly offer powerful resources for schools. However, the practices, and underpinning concepts and processes can be quite complex and not necessarily easily translated in the classroom. Translation of the contemporary STEM practices into the classroom by teachers may require support: understanding the relevant science or mathematical concepts, processes and representations, selecting parts that will be engaging for students, and knowing and developing the teaching strategies that maximize the student learning. Provide other teachers in the school with materials and training in both the knowledge and processes needed to understand the contexts, as well as advice for how the context can be linked with the curriculum, and evaluation practices that pertain to both student learning outcomes and teacher knowledge and practice. Clarke, D (2015) Putting STEM to Work: From Concern to re-Construction, unpublished paper. Tytler, R. & Waldrip, B. (2001). Effective teaching and learning in Science: Expanding the territory. Position Statement 4; Working Paper of the Science in Schools Research Project. Vasquez, JA (2014) 'STEM Beyond the Acronym', Educational Leadership, 72, 4, p. 10, MAS Ultra - School Edition, EBSCOhost, viewed 17 March 2016.